CogDog’s photography is incredible and inspirational, and I am no expert, but I find myself looking at things and thinking “how would CogDog capture that”. Subsequently, photography is becoming quite a passion, as is experimenting with the final products. 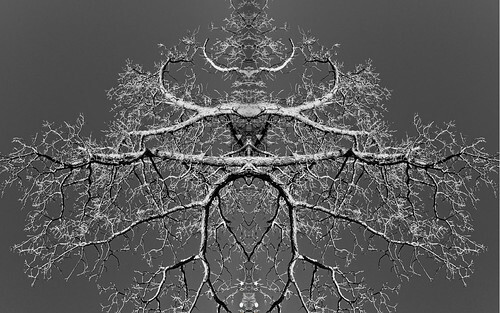 I love trees, and CogDog’s tree photographs fired me up to creating something with them. I feel so transformed and would never consider I had ever created something remotely artistic ever before.